So you want be a tea lover? If tea isn’t your cup of tea (I had to), you probably just haven’t found your flavor yet. In addition to finding the right blend, getting the right tools and accessories is essential to perfecting your tea kit. From tea sets to spoons and mugs, this list will give you an idea of some of the basics to getting your tea kit together. Whether it’s loose tea or bagged tea, everybody has their own preference. If you’re a die-hard tea lover like myself, you’ll want to dedicate a drawer or cupboard to different types of tea. If you don’t have a cupboard, a small shelf will do. Like we mentioned earlier, there is really a tea for every mood, so stock up on your favorites and try to get a variety. This Bigelow Set of tea is perfect for those looking to begin their sets and try out different flavors at a reasonable price. This sampler comes in a chic jar and has a wide variety of top-quality flavors. For those of you looking to explore loose tea, this sampler is the perfect way to expose your palate to the rare and delicate flavors that are out there. Plus they come in airtight, non-clear containers which prevents the teas from getting stale. Now hopefully you already have some, but a good mug is just as essential as the tea you’re drinking. If you’re on the go, invest in a reusable to-go cup like this one. Classic Porcelain tea sets are always in style too. Want a cute mug specifically built for tea? This is your mug. Some mugs even have built in tea-infusers. This Chinese-inspired teapot acts as the perfect decor for your kitchen and of course does its job well. With intricate details and unique color, it will definitely be a staple in your kit. You can never go wrong with a classic white porcelain teapot to serve tea in or to keep it warm for your guests. For those of you who prefer loose tea, you’ll need a good quality infuser to get the best taste possible. Luckily, there are all sorts of tea infusers, many with cute, decorative charm to them too. With their leaf handle to pull in and out of the mug, these infusers focus on functionality. Who could resist this manatee infuser?! Having a stash of milk, honey and sugar is essential to perfect your tea. I prefer some plain and other with a dash of sweetness, either way, I keep my set within close proximity to my cupboard. Milk and sugar are the obvious go-to’s but there are plenty of alternative options like almond milk, agave and stevia. These cute dishes will add charm to whatever you may want to keep near your tea. These saucers would be the perfect set up for your tea additives. Yes, a regular old spoon will work, but these cute spoons are just too tempting and they’re custom hand stamped. 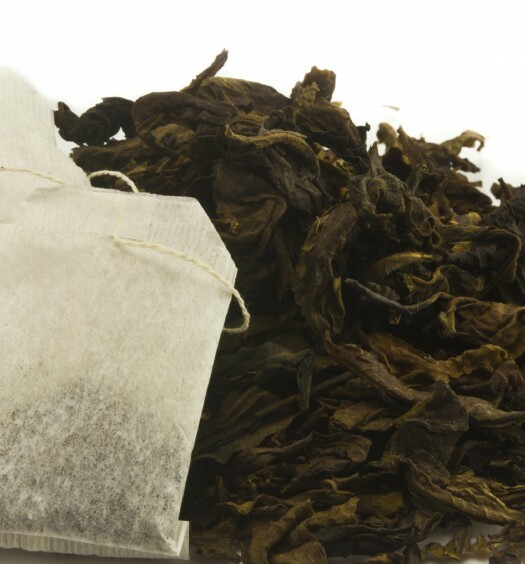 With these items, you’re on your way to becoming a tea connoisseur in no time. Like we said before, if you think you don’t like tea, you just haven’t found the right one quite yet. Did we miss anything? Let us know by commenting your must have tea kit items!